On top of February being the month of quality of life, it is also the third birthday of Old School RuneScape! Throughout the month we are going to be mixing things up in an effort to celebrate another year of Old School! During February we want to make a whole host of Quality of Life updates to Old School. You know the sort of thing, all those little jobs that never quite get to the top of the priority list. These little jobs can make a big impact and now that Jad 2 isn't coming until 2017, we've put aside February just to get these jobs done. We've already put out the first of these polls which concluded earlier today. The poll included the top 10 quality of life requests for skilling as well as abstain! The second top 10 quality of life requests poll will be starting later on this week and will be for PvM content! If you have any ideas about what you would like to see change when it comes to anything and everything to do with taking down monsters, let us know! In celebration of Old School's third birthday we are going to be temporarily re-opening the tournament worlds! These worlds will be disappearing once again at the end of March so don't miss out on your chance to get in on the fun! Dragon claws are a constant point of contention within the community. While they would spice up PvP quite a bit, they also run the risk of simply being too strong and creating a surge of rushing. 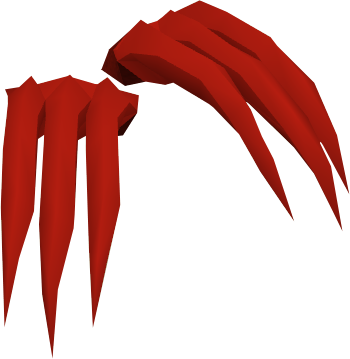 To offer PKers a chance to have some fun with dragon claws without the risk of negatively impacting the wider game, later on in February we will be releasing dragon claws in tournament worlds. Dragon claws will be introduced with the exact same special attack and stats that they featured in 2011. This should make for an interesting Old School PvP experience! Of course, it should go without saying, adding dragon claws into the tournament worlds is just for a bit of fun in celebration of our third birthday. We have no plans to offer them as an addition to Old School. But, hey, a little fun can't hurt! Tomorrow we will be releasing a new developer blog regarding our plans for lootshare in Old School. We've seen a lot of feedback from the community and this has allowed us to get a clearer idea of what it is the community might like from a lootshare system. With that said, we want to double and triple check what it is we have in mind to be sure that it lines up with what you have in mind. Keep an eye out for the blog and watch out for everything that we've got coming up in February! Looks like it's rearing up to be a good month. The QoL updates have been a long time coming.